Customer Development is one of the key phrases used in startup lingo, along with lean startup. When you think of these startup methodologies, many people recognize the name Steve Blank or Eric Ries. But for every birth, including business methodology births, there is someone there actively guiding and managing the birth, and afterwards caring for the baby. Meet Bob Dorf. Bob Dorf is often called the “midwife of Customer Development,” helping Steve Blank deploy it when Blank’s eighth startup, Epiphany, opened its doors with five employees in 1996. Dorf later critiqued the earliest versions of Steve’s Four Steps to the Epiphany mercilessly along the way, and they’ve been friends and colleagues ever since. 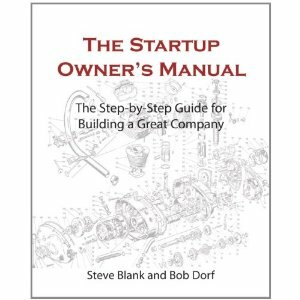 In March, 2012, along with Steve Blank, Bob published The Startup Owner’s Manual: a step-by-step guide to Building a Great Company, two years in nearly-fulltime research and development. When Bob and Steve aren’t writing, Bob runs the Four Steps consultancy, helping major corporations and startups alike effectively deploy Customer Development process through workshops and hands-on consulting. Bob’s deep experience consulting to Fortune 500 companies and service, retail, and web businesses balances Steve’s VC and software-centric experience. This spring, Bob begins lecturing a full-semester course at Columbia Business School, “Introduction to Venturing,” on getting startups right. Now Meet Bob Dorf. No, literally meet Bob Dorf. Bob Dorf is giving the keynote presentation at the NYC ‘Ideas Are Worthless’ Conference on April 11, 2012. Bob will share his experience and talk about customer development and its essential role in building a successful startup. Bob Dorf will also be a featured mentor in our Startup Clinic. Sign up on the day of the event to receive an one-on-one speed mentoring (15 minutes) session with Bob. Bob is so cool, he’s also bringing along copies of his new book for each attendee. We like Bob. Register today to meet Bob and some of our other great speakers at the ‘Ideas Are Worthless’ conference.